eat, drink & be vegan: Silver Hills Bakery Giveaway and "Fantastic French Toast"
Silver Hills Bakery Giveaway and "Fantastic French Toast"
Hello my friends! Once upon a time we did a giveaway with Silver Hills Bakery. 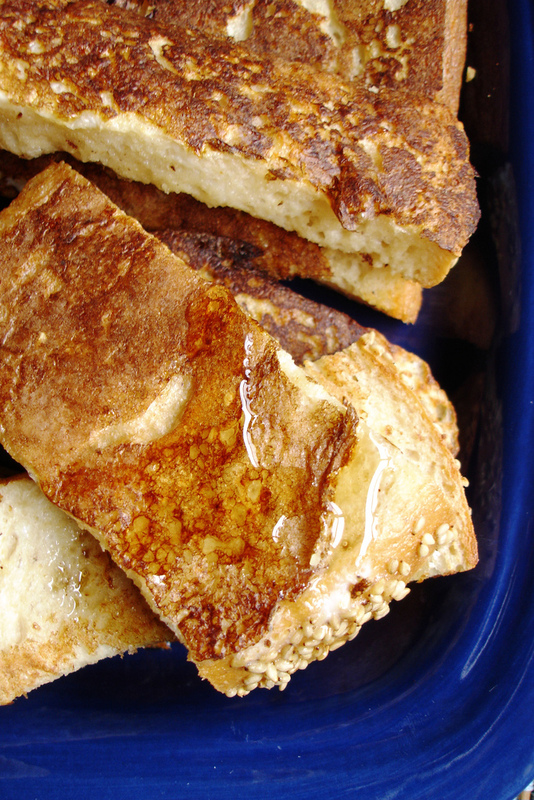 We reconnected recently when they asked to use my "Fantastic French Toast" recipe in an article reprint. Silver Hills has a new line of gluten-free breads, and they paired their gf-breads with my french toast recipe in this article. Nice coupling! And, you can get the recipe in this Impact Magazine article! But, you can't make Fantastic French Toast without the bread! To celebrate the launch of Let Them Eat Vegan, Silver Hills has agreed to give one of my readers coupons for 5 loaves of bread! Many of you already know and love this bread as I do. It's our staple bread, as it's healthier than most breads on the market and made with sprouted grains. Wanna' win? I'm making it really easy this time. Mostly because I'm a bit zonked myself (too much going on to even explain). So, comment on this post to enter! One comment per person, contest open to residents of US and Canada. To find whether Silver Hills is sold in your area, check their store locator here. Please do your thing, show me some voting bling! Once a day, everyday. Then, I promise to save the corny jokes and nagging for my kiddos. Deal?! Please, click and vote! YAAAAAAAAAAAAY! *Waves arms in the air*. I hope I win! I am always looking for gluten free, vegan bread! I love there bread great giveaway. I love their Ali's Alpine bread and the kids are fans of the King's Kamut. I even have my husband switched over to their bread! This bread looks amazing! I have never had it before but judging on their website and varieties they carry, it looks mighty tasty. I like that they offer one without refined sugar! i've never tried this bread before.. would love to win!!! 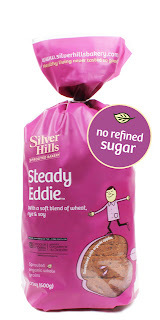 Always looking for new healthy bread for my 2 boys, we'd love to win! Thanks! This bread is tasty and healthy. Love it! I love Silver Hills bread! Would love to win this! Oh I could sure use coupons!!! Yummy! I always have such a hard time finding a good gluten-free bread that doesn't contain eggs, so I would definitely love to win this giveaway!!! Great giveaway! I really want to try that bread. I'd love to win some excellent bread. I just preordered LTEV yesterday...can't wait til it arrives!! This is a great giveaway. We love Silverhills Bread. I've never had this bread before. I'll have to keep a look out for it. I voted and will do so multiple times! Great giveaway - I LOVE Silver Hills bread, and I love vegan french toast, so I'm hoping I snag this :). Good luck on the Circle of Moms contest! I hope you win. I'm always in for a giveaway! :) I haven't tried their bread before (bad me!) but I'll check if my co-op store carries it when I'm there this afternoon. Please let me win some bread!!!!! We love their bread! Thanks for the giveaway! I love Silver Hills bread!! Oh, according to their store locator, it seems that Silver Hills Bakery products are available at my local food co-op! This must be a recent addition, because I don't remember ever seeing them. I'll have to check that out next time I go. And it would be fantastic to go with coupons in hand! Thanks for the giveaway! My roommate is gluten intolerant, so it would be awesome to win this bread so I could make some fantastic vegan French toast for us to share!!! I've never tried this bread, but it sounds great! Thanks! I looooooooove Silver Hills bread! Squirrely is my favourite. I absolutely adore french toast, but finding vegan bread can be tough for me at times. I would love to try the Silver Hills Bakery bread! I've never seen this gluten-free bread before! Looks amazing :) I would love to win this! What is better than Silver Hills bread? umm FREE Silver Hills Bread. I've never tried this, but it looks great. I love other sprouted grain breads I've tried. I've tried Silver Hills bread and it is a very hearty bread! I would love to try this bread!! Thanks for running these contests and giving us chances to win! Who doesn't like to win stuff? Yes please!! We love Silver Hills! Sounds delicious. Off to vote now! Never had this bread but it looks yummy! I would love to win a loaf of this fabulous sounding bread. I would love to try this bread! THeir bread is THE best! This looks awesome!!! And I need to find a good bread!